Any Time Hostel is a great place for all backpackers looking for a great fun with 150 square meter CLUB just below the hostel!!! 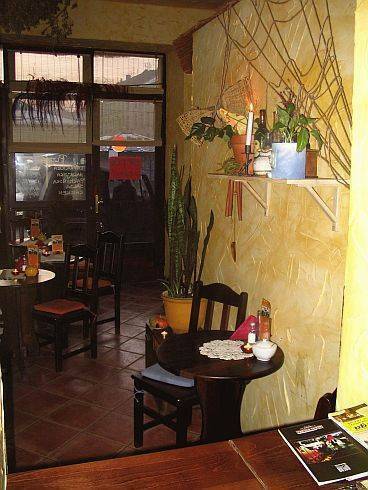 Opened June 2005, is the only hostel located in the very heart of Krakow's old Jewish district Kazimierz- Plac Nowy - known as one of the best places in Krakow for going out in the evening and having fun till dusk! Our hostel situated in the completelly newly renovated historical 18th century building offers You spacious and sunny rooms with very comfortable beds. We offer double, triple and fourbedded rooms as well as modern dorms with private or shared bathrooms placed on all three floors of the house. Came back tired and hungry after all day of going round the city? Don't worry - it's enough to go downstairs to Any Time Sandwich & Pizza Bar to have a small bite and after that join other backpackers for a beer in B-side Club situated in the same building or stay in summer internal garden enjoing yourself. After that You will feel like new- born and ready for new adventures! You don't need to worry about a curfew, you can have fun out as long as you wish.